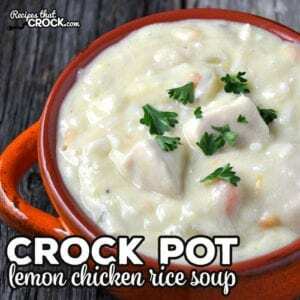 Crock Pot Lemon Chicken Rice Soup - Recipes That Crock! 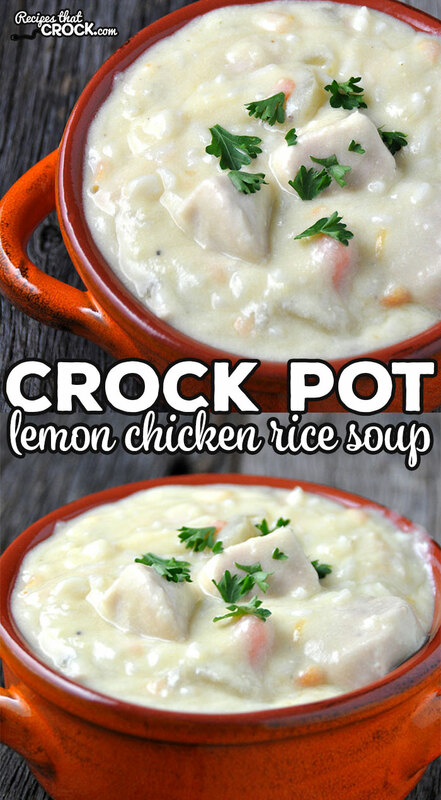 This Crock Pot Lemon Chicken Rice Soup recipe is a delicious twist on chicken soup. 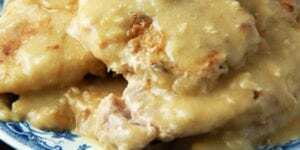 It is easy to make and has tender chicken with plenty of flavor! My friend, Heather, told me about a soup she loves. While I couldn’t find the exact recipe of what she was talking about, I think this Crock Pot Lemon Chicken Rice Soup comes pretty close. 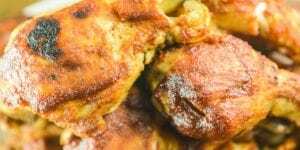 I love how tender the chicken comes out and the delicious flavor! 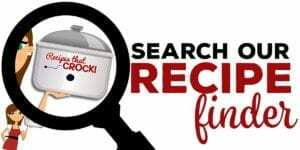 Combine your chicken, lemon juice, carrots, onions, celery and chicken broth in your 6-quart crock pot. Cover and cook on low for 6-7 hours or high for 3-3.5 hours. Mix together your butter and your flour, stir gradually into your crock pot. 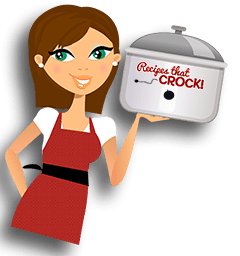 If your crock pot is not already on high, turn it on high. Cover and continue cooking while you whisk your egg yolks until light in color in a medium bowl. Take a ladle and pour some of your soup from your crock pot into your bowl while you continually stir. 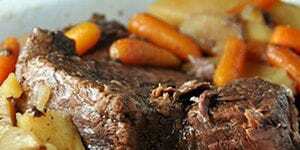 Once it is fully combined, add into your crock pot and stir well. Cover and continue cooking for an additional 30 minutes. Stir in your cooked rice and serve. If you love lemon flavoring, then you can use 2 tablespoons of lemon juice. 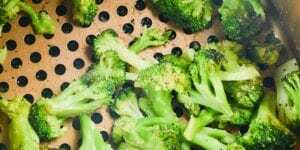 If you would like a milder flavor, then use 1 tablespoon. I cooked up 1 cup of rice for our soup, however, if you would like to have a heartier soup or make it stretch a little farther, you can use the larger amount of rice. 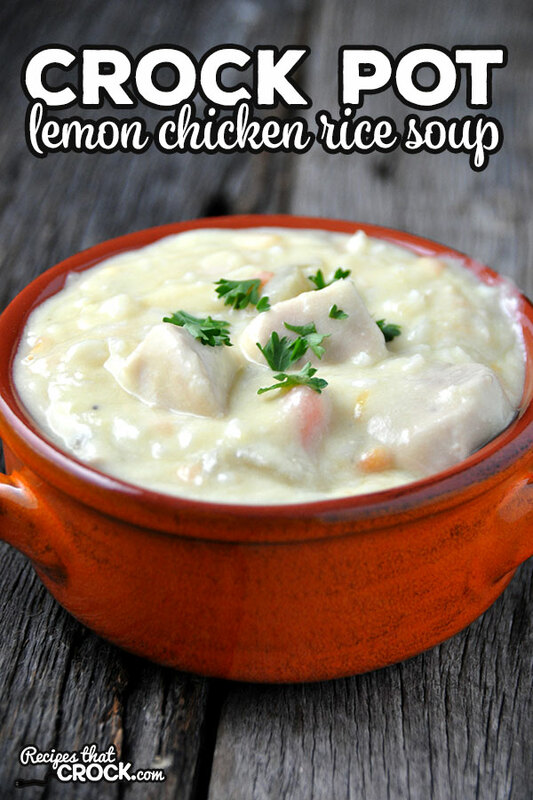 Combine your chicken, lemon juice, carrots, onions, celery and chicken broth in your 6-quart crock pot. Cover and cook on low for 6-7 hours or high for 3-3.5 hours. Mix together your butter and your flour, stir gradually into your crock pot. If your crock pot is not already on high, turn it on high. Cover and continue cooking while you whisk your egg yolks until light in color in a medium bowl. Take a ladle and pour some of your soup from your crock pot into your bowl while you continually stir. 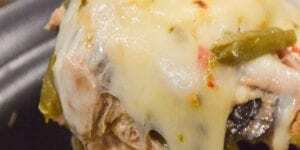 Once it is fully combined, add into your crock pot and stir well. Cover and continue cooking for an additional 30 minutes. Stir in your cooked rice and serve.